"Grave" redirects here. For other uses, see Grave (disambiguation). The Grave Robber Mouse is a breed of Event mouse that can be found in the Mousoleum and Catacombs when hunting with Undead Emmental cheese.. It is known to drop King's Credits in both locations, and Antiskele Charm and Scrap Metal in the Catacombs. It can also be found during the annual Halloween event. Cheese: Undead Emmental Charm: ?? In the Mousoleum and Catacombs locations, the Grave Robber Mouse has been found to be especially attracted to Undead Emmental cheese, to the point that any other kind of cheese will simply not suffice. Law traps are very effective against the Grave Robber Mouse. All other power types (except Rift and Parental) are of normal effectiveness and a more powerful trap can easily outperform the relatively weak Law traps. The Grave Robber Mouse is available throughout the year in the Mousoleum and Catacombs locations, but only if a Hunter arms Undead Emmental cheese. 8 July 2011: The Grave Robber Mouse was painted live during an 'All about the art' Feedback Friday. Ideas and suggestions for how the mouse should look were provided by the audience at the time of painting. 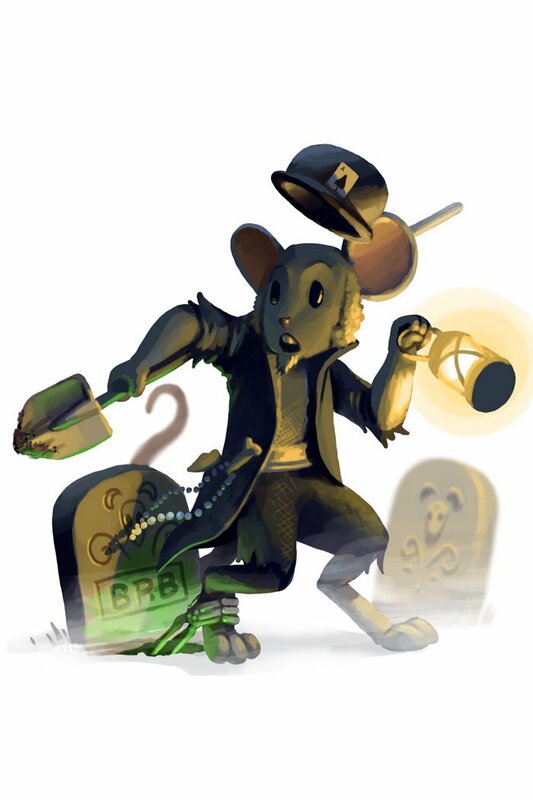 8 July 2011: The Grave Robber Mouse was introduced as part of the second Zombie Invasion Weekend event. 25 June 2013: The Grave Robber Mouse gained a vulnerability to Law power type traps, with the release of Varmint Valley. This page was last edited on 29 August 2018, at 14:27.